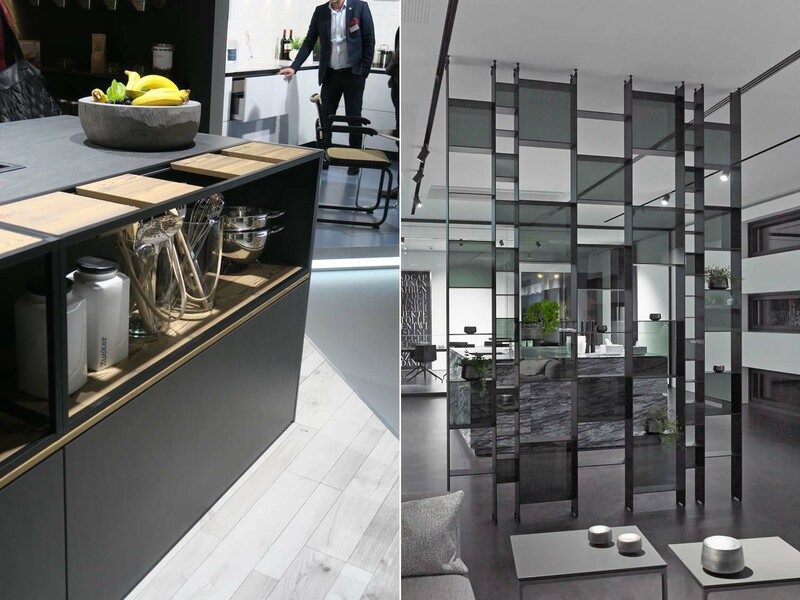 Living Kitchen is part of IMM Cologne, the world’s leading furniture fair held annually in Cologne, Germany. Over the years, the exhibition has grown to become the required annual pilgrimage for all things design for not only designers, but also the public. IMM Cologne which kicks off annually each January, showcases over 1,300 exhibitors from 70 countries and welcomes over 150,000 visitors from 145 countries around the world. The evolution of kitchen shelving has had little advancement over the years. 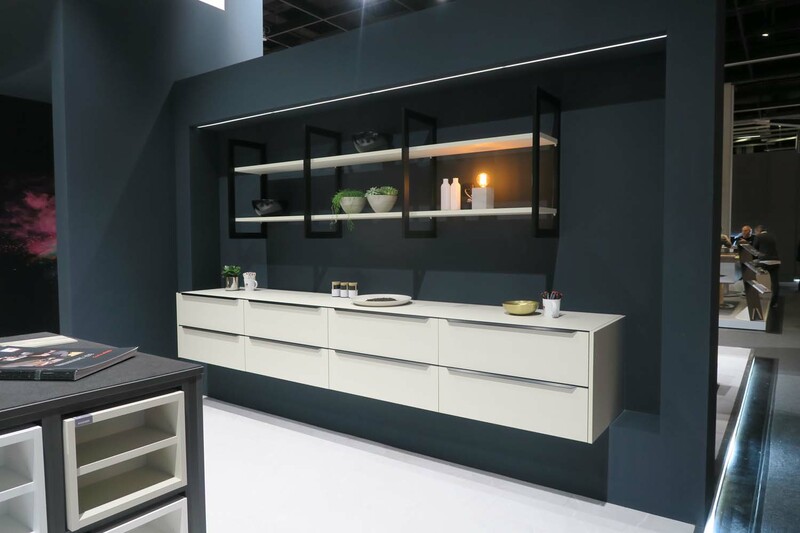 The expansion of sophisticated drawers, pull-outs, and cupboard systems have trumped the ideals of the modest and conventional flat-shelf surface. I’m here to tell you that is all going to change. 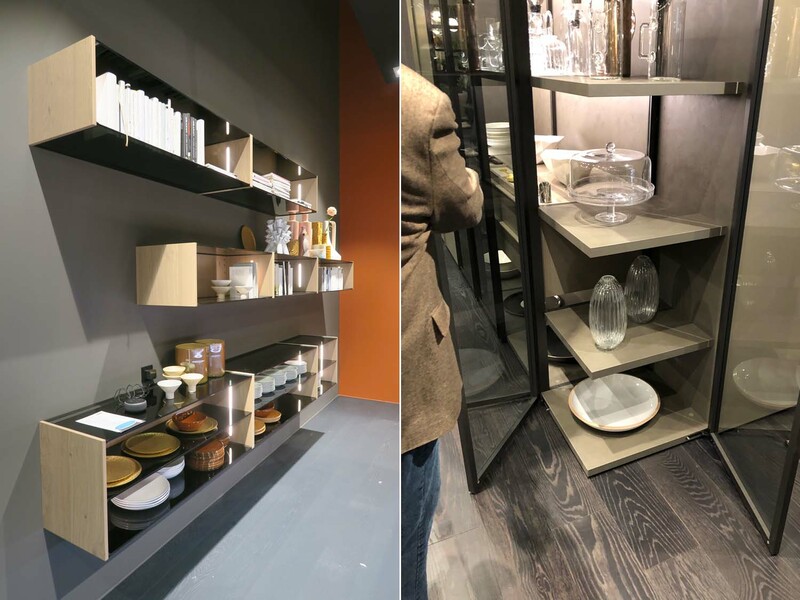 The newest creations exhibited at Living Kitchen include shelving that is sturdy, beautiful, and above all completely customizable. 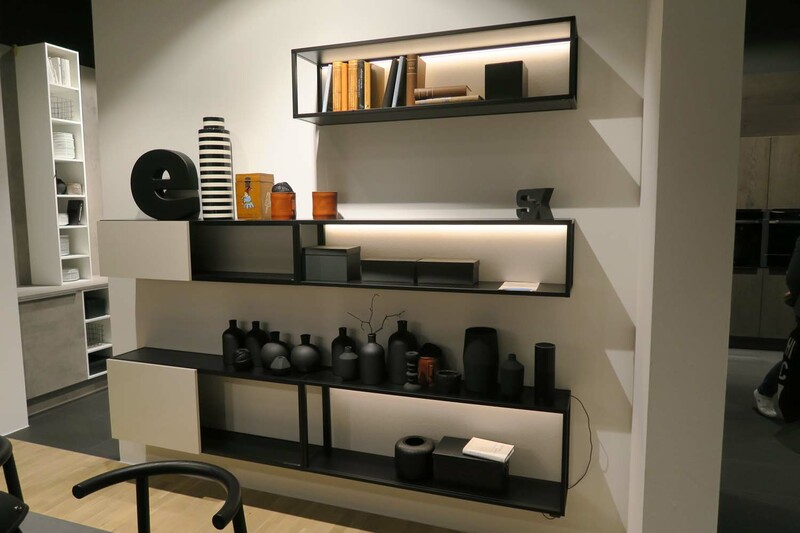 Shelving now supported by the metal framework or cantilevered from metal wall tracks is adding function and beauty to the desired clean, modern aesthetic. These storage elements offer flexibility to place your items in any position your heart desires. The shelving can be free standing, wall mounted, sitting on your counter or backsplash, and even hanging from the ceiling. Color variations and configurations are endless giving the customer complete design creativity and the ability to adapt and grow as your lifestyle changes. Many new systems also include indoor growing areas for the environmentally focused consumer or savvy urbanite looking to create a small garden oasis in their home. While drawers and doors are great storage solutions, consider the ergonomics of shelving. Open shelving is one less step to take when reaching for your daily items. It’s also an organized and effective way of sorting and displaying your tableware so not only easy to reach but simple to identify. 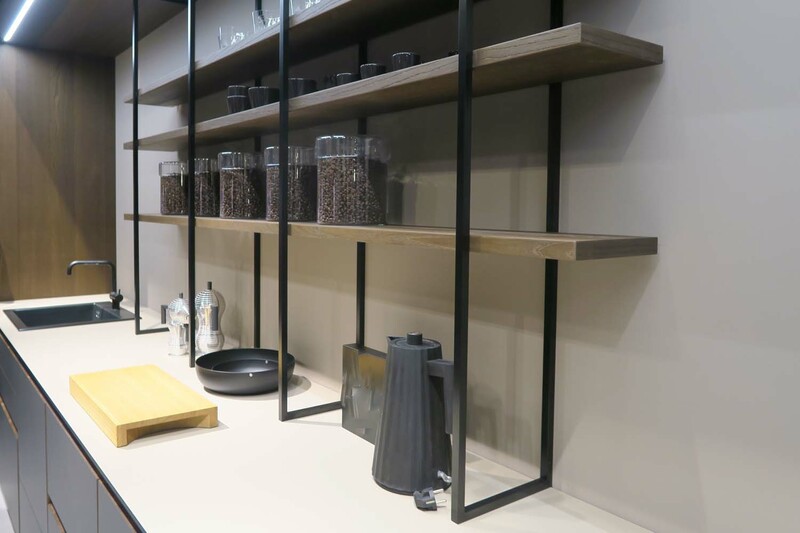 The latest concepts for open shelving include solutions at counter height. It is always a much simpler task to lift a stack of plates from a middle position then overhead so consider this idea in your future designs. All of the innovations trending at Living Kitchen are also making use of the single depth design meaning that you’ll never have to reach or see beyond your visual field to achieve your desired goods. Perhaps you are not convinced and like the idea but want the best of both worlds? Eggersmann’s the Works system offers a customizable shelving experience with the flexibility of having all of your multipurpose shelving exposed and then easily concealing. It gives you two unique esthetics for your home. We cannot forget or ignore the importance of proper lighting in the kitchen. Functional lighting should be virtually unnoticed when appropriately done but certainly noticeable when lacking. 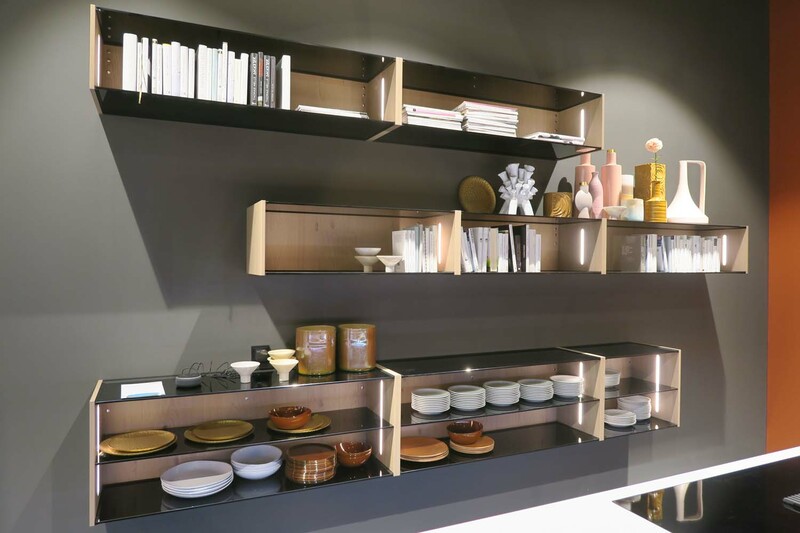 Living Kitchen displays proved that current lighting trends for shelving solutions are literally and figuratively illuminating our daily lives. Light can be seen above, below, in front, behind and sometimes utilizing all methods to achieve a brilliant glow. Lighting quality and temperature have also been improved and considered, now offering temperature control for the cool whites, and warm tones, as well as a focus on the color rendering index of lighting, which is critical when showing the most accurate colors for such everyday items like vegetables and fruits. 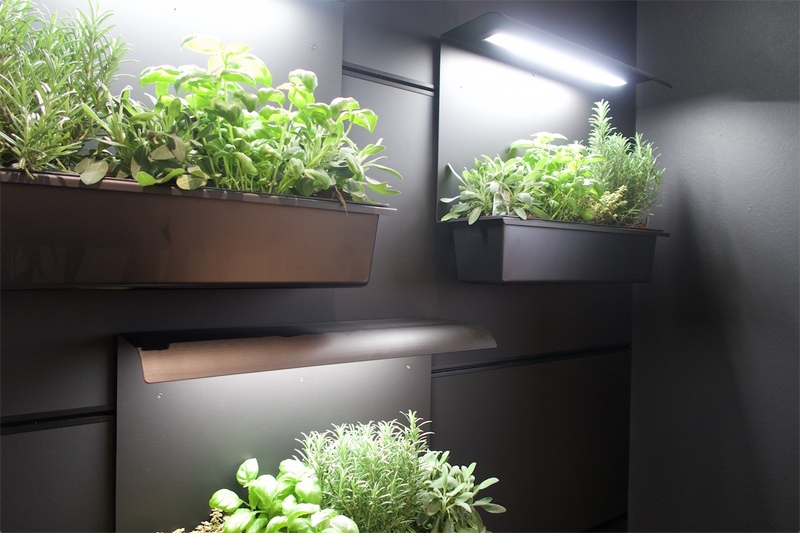 Lastly, we cannot forget the importance of specialized lighting for the indoor herb gardens that are becoming increasingly popular. Grow lighting is a special kind of RGB lighting that gives off specific spectrums of light to promote the growth of plants and herbs. When entering the Living Kitchen, you expect to see kitchens; however, we saw much more than that. The idea of the open shelving concept has transcended the heart of the home and expands now into your living environment. Open living concepts are more normal today than ever before, and we could say the center of the house is this kitchen living centric space that includes the dining and conversation areas. The ideas to integrate the storage and function of metal, glass, and wood shelving systems into other areas of the home are in full effect. You can showcase your favorite barware, feature your cookbook collection, and even decoratively display your tableware in a convenient location to both the kitchen and living space. 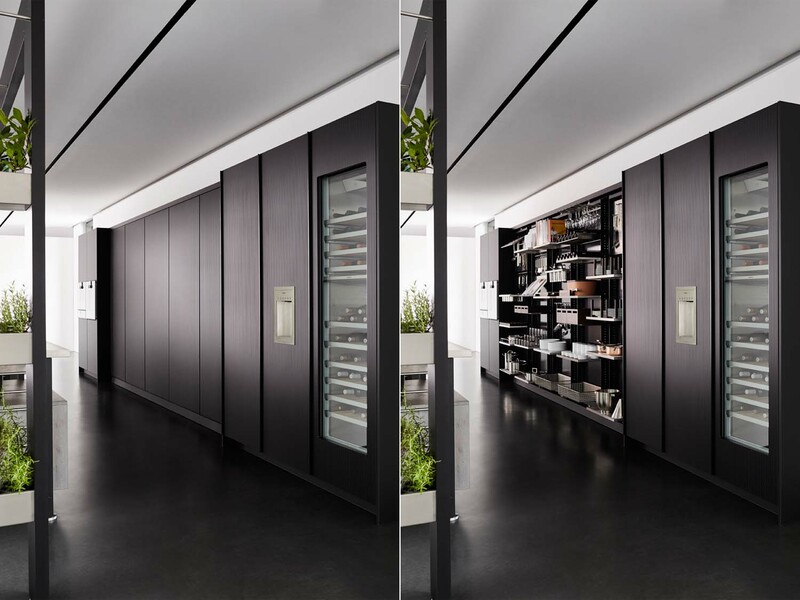 Shelving doesn’t have to mean exposed entirely as we also see an uptick in the concept of glassware cases and elegant chef’s pantries which can house everything from canned goods to utensils and cooking instruments. Living Kitchen showed us that we certainly could (and should) daringly show off our love of color. One of our favorite trends on display was metal-mixing. You are going to see more and more mixing of stainless, brass, copper, and anodized aluminum finishes that you might not have considered before. A combination of alloys take the once monotone rack and turns it into an elegant statement for your home. Including glass and wood elements can soften the rigidity of the metal and add some warmth to the design. Natural wood like walnut and stained oak which can be cut and stained in numerous ways to add some uniqueness and creativity to your plan. 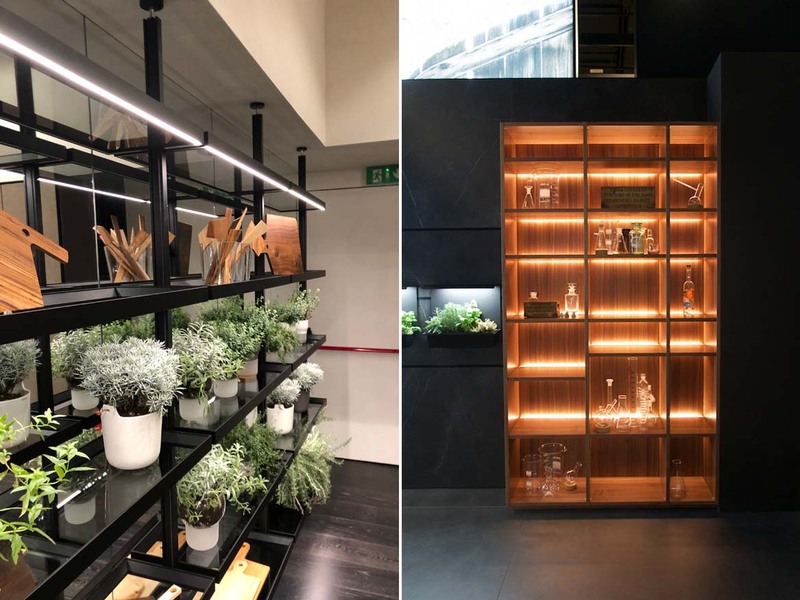 Glass doesn’t have to be transparent, many concepts of smoked, tinted, and reflective glass is adding an entirely new dimension to the shelving solution. With these fresh, bright ideas in mind, please consider your future project to include the next generation in functional shelving. Consider the importance of ergonomics, lighting, blending spaces, and unique materials. We see no end in sight for this instrumental solution building on the original idea of a simple shelf. 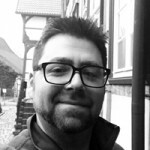 Evan Soltoff is Vice President of Operations for eggersmann USA and resides in Houston, Texas. The company was founded by Wilhelm Eggersmann in 1908, and Evan has been with them since 2007. 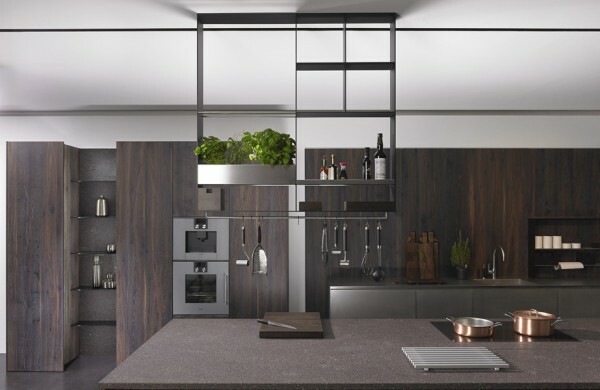 Eggersmann’s design foundation is built on key Bauhaus architectural elements, and their modern German kitchens and home living solutions are distinguished by unique stone fronts and exotic veneers, as well as technological feats in cabinetry composition and ergonomics.